The Sydney Opera House is one of the best-known iconic buildings, recognized around the world as a global symbol of Australia. 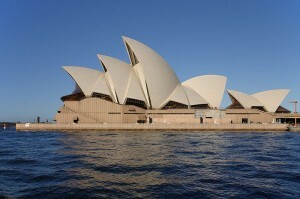 The Danish architect Jørn Utzon won the architecture competition set out by the New South Wales government for the new building in 1957, and the construction started in 1959. The project was originally scheduled for four years, with a budget of AUS $7 million. It ended up taking 14 years to be completed and cost AUS $102 million. 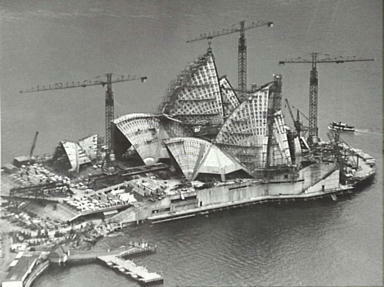 The Sydney Opera House could probably be seen as one of the most disastrous construction projects in history not only from the financial point of view but also for the whole management plan. Lets analyze the main reasons that led to it. First of all, at the beginning of any project goals and objectives have to be clearly defined by the client to provide a guideline for what the project must complete. There are three main factors: time, cost, and quality. In the case of the Sydney Opera House the last one was the most important, as it was an almost unrestricted goal of the project and the reason why it was launched. No indications regarding time or cost limits were either provided for the competition. Thus, the architects were allowed total freedom in their designs. 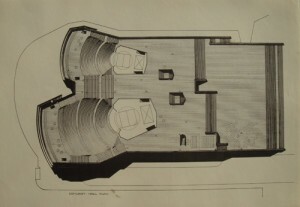 After Utzon was selected, he presented his “Red Book” in March 1958, which consisted of the Sydney National Opera House report. It comprised some indications such as plans, sections, reports by consultants, etc. The funds came almost entirely from a dedicated lottery, so the project was not a financial burden for the government. Regarding time planning the goal was to complete the construction at the end of 1962 and have the grand opening at the start of 1963. The project should have lasted four years. The main stakeholder was the architect, but Utzon was much more concerned with the design aspect rather than time and costs objectives, which proved problematic. During the project, Utzon collaborated with Ove Arup, who was in charge of the structure and the engineering. With some other subcontractors, the team was in charge of mechanics, electrics, heating and ventilating, lighting and acoustics. There was no real project manager, but rather collaboration between Utzon and Arup. The other main stakeholder was the client, the state of New South Wales. This encompassed the Australian government, which launched the competition for the project, and especially the Labor Premier, Joe Cahill. A part-time executive committee was created to provide project supervision but the members had no real technical skills. The government eventually became an obstacle to the project team by inhibiting changes during the progress of the operations and thus contributed to cost overrun and delays. Finally, the public was an indirect stakeholder because they were concerned with the projects success. There appeared to be problems from the start of the project that was divided into three stages: Stage 1 was the podium, stage 2 was the outer shells, and stage 3 was the interiors and windows. Apparently Utzon protested that he had not completed the designs for the structure, but the government insisted the construction had to get underway. In addition, the client changed the requirements of the design after the construction was started, moving from two theatres to four, so plans and designs had to be modified during construction. Regarding the project’s budget the initial estimation was drawn on incomplete design drawings and site surveys which later lead to disagreements. The contractors for the first stage successfully claimed additional costs of AUS $1,2 million in 1962 due to design changes. When it was completed in 1963, it had cost an estimated AUS $5.2 million and it was already 47 weeks over schedule for the whole project. Stage two became the most controversial stage of the entire construction. As costs were rising a new government stepped in and monitored all payments being requested by the Opera House. By the end of stage one, Utzon submitted an updated estimate of the projects total cost as AUS$12.5 million. 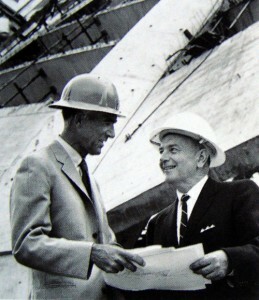 As more payments were being delivered and no visible progress was seen, the government began withholding payments to Utzon. Stage two slowed down and in 1966 Utzon felt he was forced to resign from the project as his creative freedom was restricted, and therefore could not bring his perfect idea to fruition. The project was then taken over by three Australian engineers, and stage two was completed in 1967 with a total cost of AUS$13.2 million. When Utzon walked out of the project, he did not leave any designs or sketches to work with as he was convinced that he would be called back to the project once the new team failed. This was not so, and due to the lack of designs to work with, new ones had to be created based on the current structure of the Opera House and many unforeseen complications were found. Evidently this caused a huge increase in the estimate of the total cost of the project, which came to AUS$85 million. This came as a shock and nearly an insult to Utzon who had been fending off the Government from rising costs for years. The news that they had agreed to that budget, which was more than four times Utzon’s original estimate, was evidence that he had been unjustly treated. Queen Elizabeth II inaugurated the Sydney Opera House in 1973, after 17 years of redesigns, underestimates and cost overruns. By 1975, the building had paid for itself, thanks mainly to the lottery system that was created to help its funding. Utzon was never to return to Australia, never to see the final result of his work that was recognized as an incredible feat of architecture. In 2003 the architect was honored with the Pritzker Prize for architecture, the most renowned architectural prize in the world.